Committed to “solving water,” Xylem/Goulds delivers innovative pumping technology for all water handling and control applications. Their vertical turbine pumps are built on world-class engineering for unparalleled performance in even the most challenging environments. These pumps provide superior efficiency and versatility. 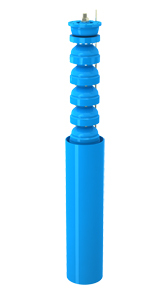 Flow N Control offers Xylem/Goulds’ full line of submersible and surface-mount vertical turbine pumps. 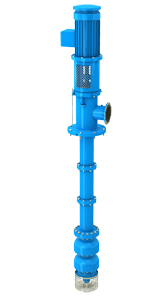 We’ll help you find the most effective solution for your water pumping needs. Request a quote on Xylem/Goulds vertical turbine pumps. Contact us for more information. Xylem/Goulds’ vision is simple: to advance the smarter use of water through technology, time, and talent. Focusing on the world’s most critical water challenges, they deliver innovative and efficient water pumping solutions for a broad range of applications. Xylem/Goulds manufactures some of the industry’s best performing vertical turbine pumps for water and wastewater control and handling. All Xylem/Goulds products are made in the U.S.A. in ISO 9001-certified factories. Flow N Control is an authorized distributor of Xylem/Goulds pumps. We offer their durable, dependable, high performance vertical turbine pumps in a range of sizes and configurations. No matter what your pumping application, we’ve got the solution you need. 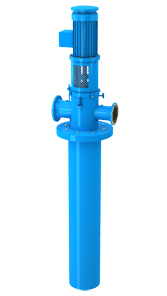 Contact us for Xylem/Goulds vertical turbine pumps.